Schwinn 230 Recumbent Bike Review 2019 (w/pics) - Buy It Or Bin It? 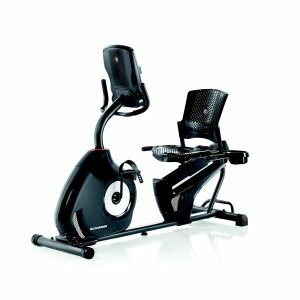 Wrap Up: Is Schwinn 230 Recumbent Bike a Good Buy? The Schwinn 230 Recumbent Bike is one of the most popular exercise bikes on the market right now. In our in-depth review, we’ll cover all of its major features, pros and cons and most importantly if it’s worth buying in 2019? 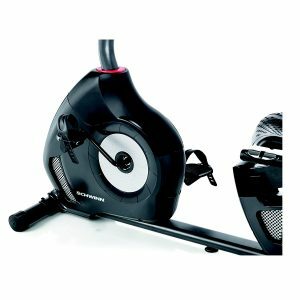 The Schwinn 230 Recumbent Bike is extremely affordable when it comes to the price. There are a lot of great features that come jam-packed with the 230 Recumbent bike. 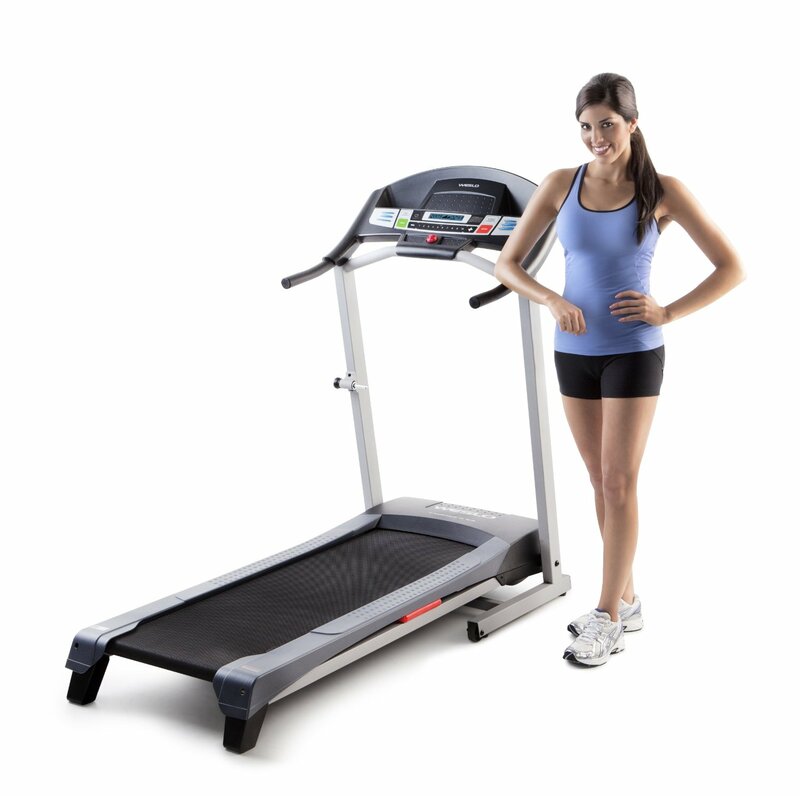 You can enjoy 22 pre-programmed workouts with user-friendly smart console. 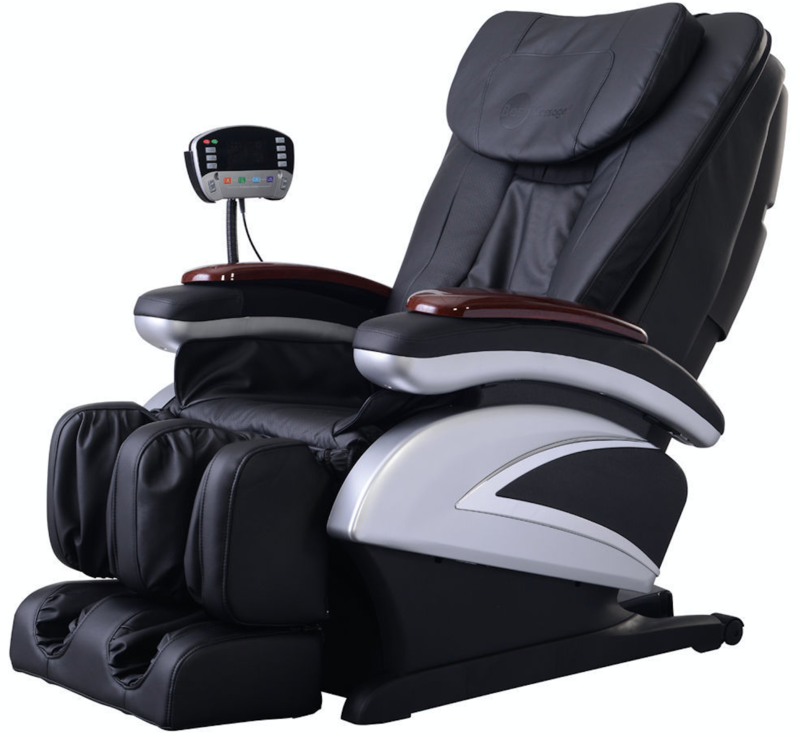 The good recumbent trainer supports 2 user profiles with latest heart rate monitoring system. When you decide to buy the Schwinn 230, you get the opportunity to add a premium recumbent bike to your home gym. Before writing this in-depth review, we tested and asked questions on your behalf to perfectly ensure if Schwinn 230 Recumbent Bike is worth your time and money. Click here to check the price of the Schwinn 230 Recumbent Bike on Amazon. Power requirement: Standard wall outlet: 110V-120V circuit; AC power adapter included. 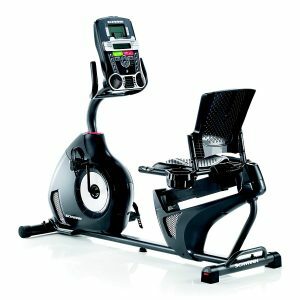 The Schwinn 230 Recumbent Bike offers a very solid and comfortable user experience every time you decide to workout. 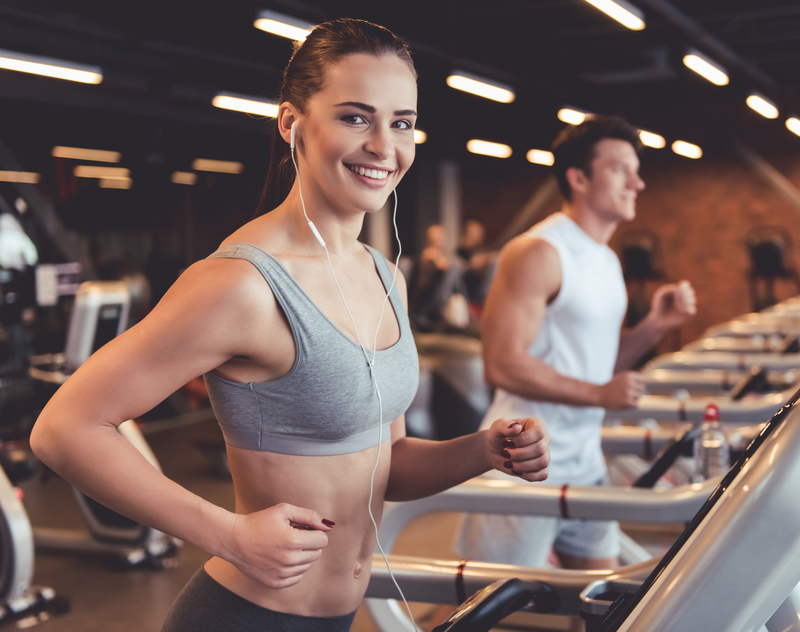 The more high-quality features a recumbent exercise bike offers, the better are your chances of sticking with the workout program. 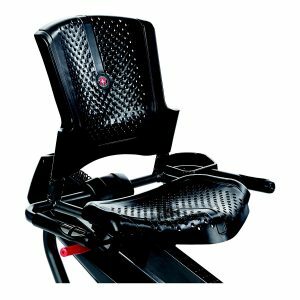 Ventilated, contoured seats with lumbar-friendly backrests. Track time, distance and your calorie goals using the smart bike console. A high-speed inertia drive system with perimeter-weighted flywheel. 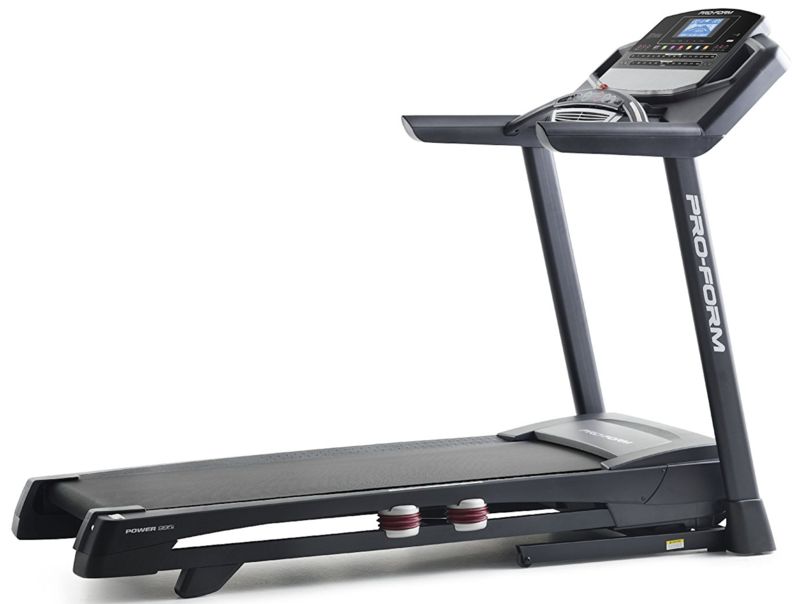 State-of-the-art, heavy-duty walk-through frame for best stability during heavy workouts. Durable Adjustable Seat Rail Slider System. Ergonomic handlebars interface with accurate heart rate sensors. Bike console can be customized to collect activity data on maximum two users. Water bottle holder designed for left or right mount. Good quality transport wheels make moving the the 230 Recumbent Bike fairly easy. 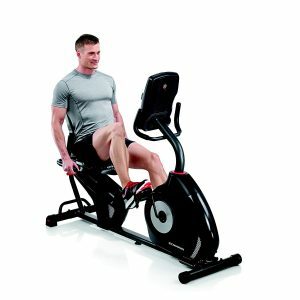 Adjustable 3-speed fan on the exercise bike keeps bikers cool during the intense workout. 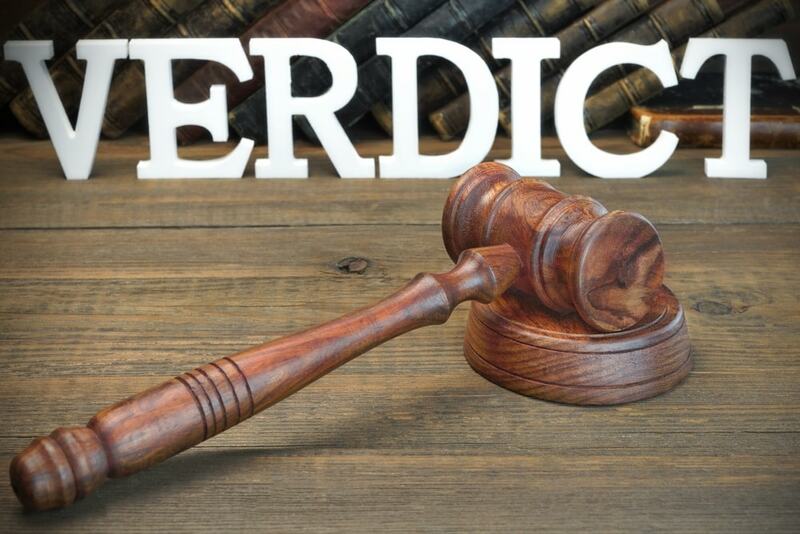 Easy-to-read DualTrack™ 2 LCD screen system. Streamlined bike console is smart and simple to understand. USB data transfer functionality interfaces with Schwinn Connect™. MP3 and iPod® connectivity plus in-console speakers. Handy Media Shelf for books, magazines and other devices. 22 Pre-Set Exercise Programs ranging from beginner level to advanced users. 20 Levels of Eddy Current Brake (ECB) Computer-Assisted Intensity Resistance. 4 Customizable Heart-Rate Monitoring programs and 2 fitness assessment tests. It tracks the amount of time you spent on the exercise bike. Assesses and adjusts resistance levels. Counts and reports per-minute revolutions. Tracks distance traveled and at what speed. Keeps record on Watts of Power your Schwinn 230 consumes. Keeps an eye on the pulse rate monitoring. And yes, the Schwinn exercise bike also counts the number of calories you burn so you always stay motivated to stay fit and healthy. The Schwinn 230 Recumbent Bike offers an excellent warranty coverage. There’s a life-time guarantee on the bike frame; a two-year warranty on mechanical issues and one-year of protection on the electrical parts. 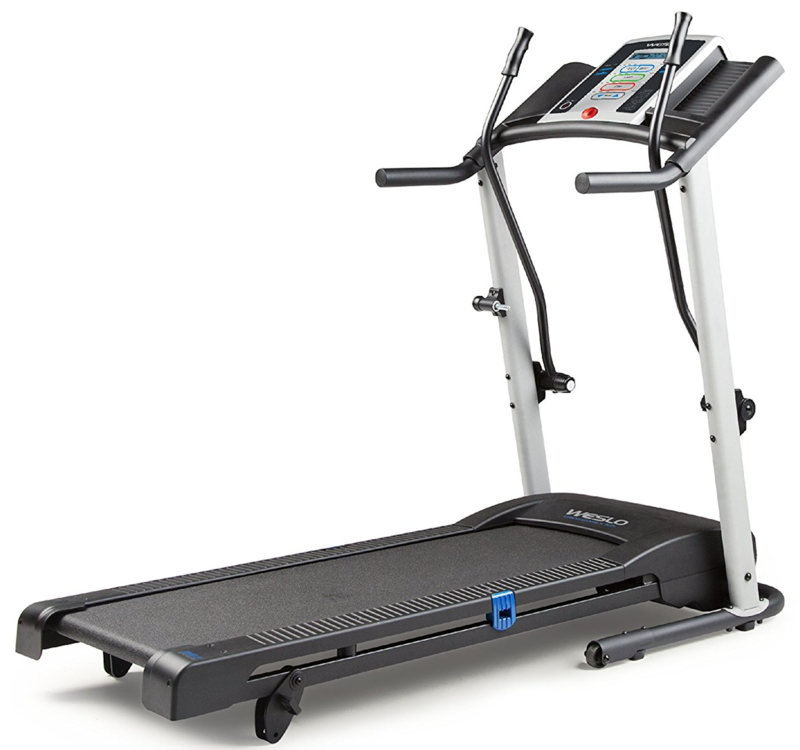 Moreoever, if you find a labor-related issue within the first 90-days of buying the 230 Recumbent Bike, the company will cover the all the troubleshooting cost for you absolutely free. You can also purchase the extended coverage when you order the Schwinn 230. The Schwinn 230 Recumbent Bike almost weighs 96 pounds. So, it’s kinda heavy and can cost you shipping fee when you order it online. The total shipping cost is calculated based on your physical location and your chosen online store policy. When you want to assemble the Schwinn 230 Recumbent Bike, you’ve got 2 options. You can either complete the process yourself by reading the step-to-step instructions manual provided by Schwinn® or you can either opt for the “Expert Assembly” when you order from Amazon. With Expert Assembly, a professional will book an appointment and perform a complete bike installation at your chosen location. Assembling the 230 Recumbent Bike can be a bit time consuming, if you decide to do it yourself. But, you’ll be greatly impressed by Schwinn’s fully-illustrated diagrams that take you through the whole process step-by-step. You can easily assemble the pieces of recumbent bike within 1 hour and 30 minutes if you do it alone. If you’ve hired a professional, you just need to sit and wait until the exercise bike is ready to use. You don’t need to even lift a finger. Once assembly process is complete, enjoy riding the Schwinn 230 Recumbent Bike for the best workout at home. Is the Schwinn 230 the best recumbent bike in the world? It probably is, but this topic is covered in another detailed review and comparison of the 10 Top Rated recumbent bikes on the market. For our current review, we can conclude with great confidence that Schwinn 230 Recumbent Bike delivers an intense high quality workout experience that won’t compromise the health of your bones and joints. The budget-friendly recumbent bike offers some of most highly-rated features that provide top value of money to the buyers. The bike console is very dynamic and and offers plenty of great connectivity features. We’re not sure if everyone needs 22 pre-programmed workouts, however this huge variety provides better options and nice value of money for both beginners and advanced cyclers. 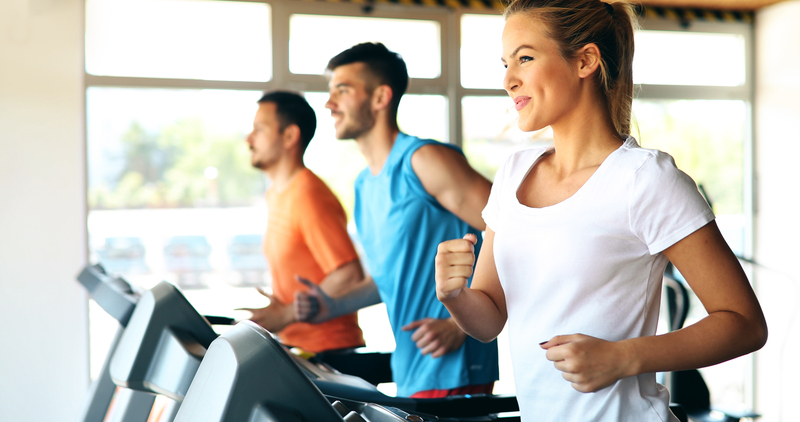 With the 230 Recumbent Bike, you can download data generated by the workout activity to get a crystal clear picture of your overall performance. The precision and accuracy of this useful data ensures that you stick with your ultimate fitness goals and keep yourself motivated to achieve them. Finally, we really love the impressive built-quality and modern design of the Schwinn 230 Recumbent Bike. That said, it may not withstand the biggest meteor attack, but it will perfectly accompany you on your fitness journey. 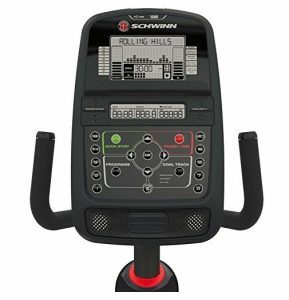 The Schwinn 230 offers some of the most leading features in the exercise bike industry that deserve special mention such as the high-inertia, high-speed weighted flywheel and 20 levels of Eddy Current Brake resistance engineered to stick around for the long haul. On top of that, you get all these good options in this highly-rated recumbent bike on the market. As amazing as those ergonomically-contoured handle grips may be on the Schwinn 230, they may not compensate for a heart rate chest strap monitor which is one of the biggest selling points of the Schwinn 270 and other superior recumbent bikes that earn 5 star consumer reviews. You’ll have to firmly hold down those handle grips to get an accurate heart rate reading when using the 230 Recumbent Bike. Some buyers found the Schwinn 230 to be uncomfortably small for their height and body size. Few customers reported to have problems with the plastic seat. We can feel their pain, but if you really want the most affordable and budget-friendly recumbent bike, you need to tolerate the plastic use. If you’re tall or overweight, the Schwinn 230 may not be the perfect recumbent bike for you! If you can’t work with the bike pedals or the seat rail doesn’t extend as much as you want, it can turn out to be a bad fit for you. Do you weigh more than 300-pounds? Better shed some fat before you buy the 230 Recumbent Bike or look for other higher-end models for the money. 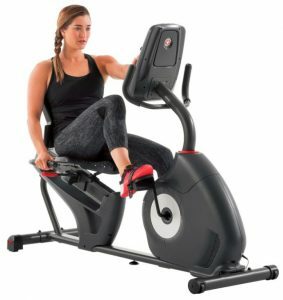 The Schwinn 230 Recumbent Bike is definitely an excellent piece of fitness equipment and our recommended buy for 2019. We’ve reviewed some of the most highly-rated recumbent bikes on the market and this one was pretty easy to wrap up. It’s because of the well-known reputation of the Schwinn Brand and top-notch quality offered in their products. Schwinn® is one of the most trusted names in the cycling industry for more than 100 years. 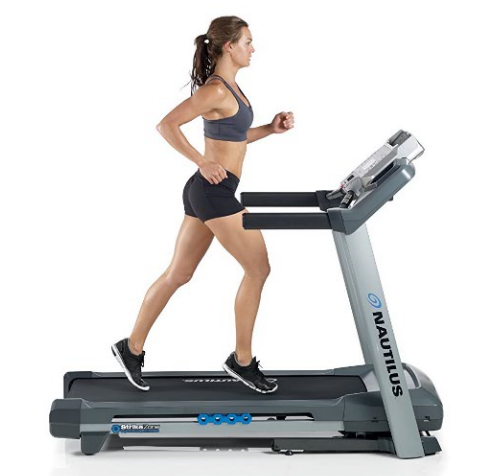 The company has sold their exercise equipment to millions of consumers worldwide and earned huge trust in the fitness world. 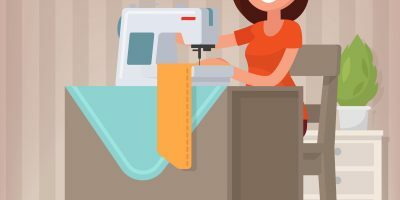 With such massive customer base and brand awareness, you can easily make your buying decision to stick with any of their top recumbent bikes. The Schwinn 230 Recumbent Bike is surely loaded with all the attractive features of higher-end models but you won’t get a heart attack when you see its awesome price tag. The 230 Recumbent Bike is a serious piece of exercise equipment that is built to last for a long time. With the 22 pre-programmed workouts, superior built-quality and longer warranty, you get a lot of great value for your money. 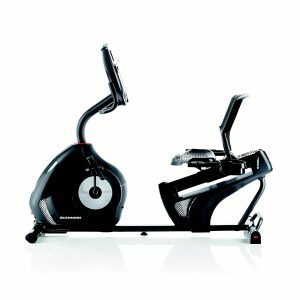 You may also want to check out the higher-end Schwinn 270 Recumbent Bike which comes with few extra features but at a little extra cost. There are almost 7 additional pre-programmed workouts and 5 resistance levels when compared to the Schwinn 230 Recumbent Bike. 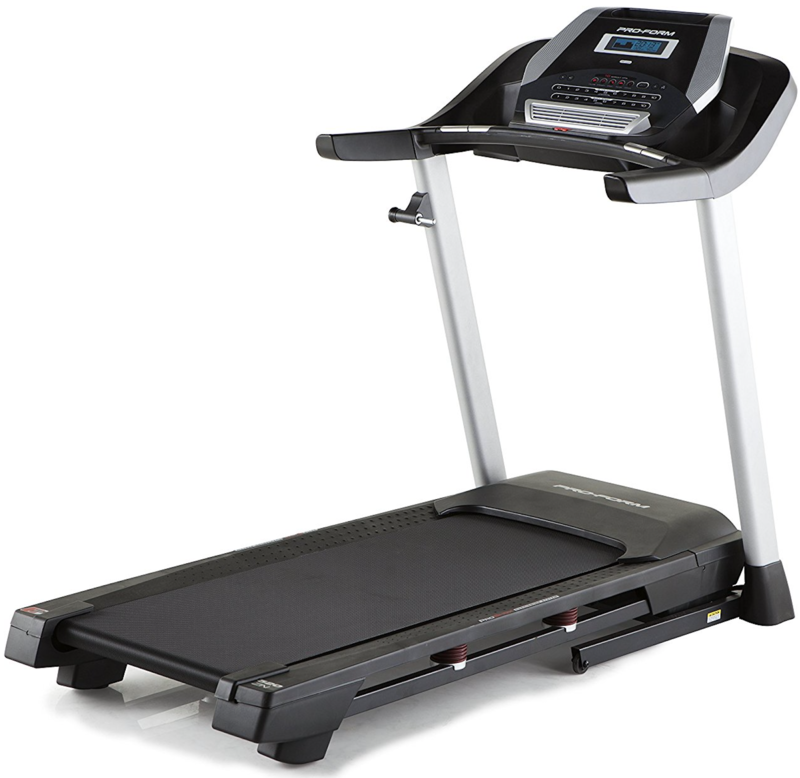 The heart rate chest strap monitor and bluetooth connectivity are some of the missing features that were added in the 270 Recumbent bike. If you can live without these new features, you don’t have to spend more bucks when ordering the wallet-friendly Schwinn 230 Recumbent Bike. Other than these minor differences in features, both Schwinn exercise bikes are exactly the same. And, we highly recommend the Schwinn 230 Recumbent Bike for best value of money.